This is probably why it has so many satellites turning around. We suppose that most of the small satellites are just asteroids which were taken in its attraction. 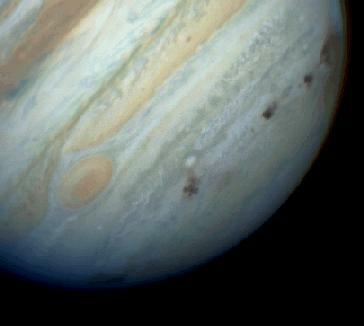 The picture here shows the impact of the comet Shoemaker-Levy 9. It happened on July of 1994. 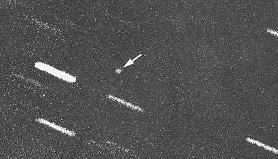 We were especially glad to have the Hubble Space Telescope when this event happened. This very picture has been taken with Hubble wide planetary camera 2. Here you can see Io, the smallest of the five huge moons of Jupiter. 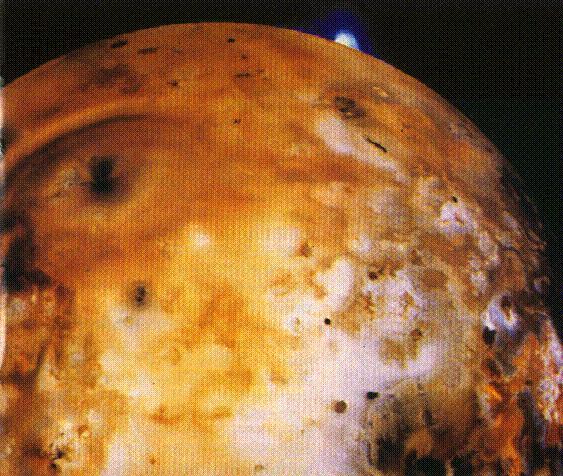 Io is all carved with volvano craters. The lighter spot at the top right (north) of the planet, is an eruptive volcano. 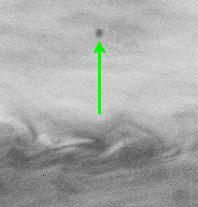 Metis, Adrastea and Thebe are three of the very small known satellites of Jupiter. These very small objects are extremely hard to detect. In this case, we have been helped by Voyager 1. On the left you can see another small satellite: Leda. It's the 13 satellite and the smallest known. Kowal found it in 1974. The distance from Jupiter is 11,094,000 km. Its diameter is around 16 km. And its mass is evaluated at 5.68e15 kg. 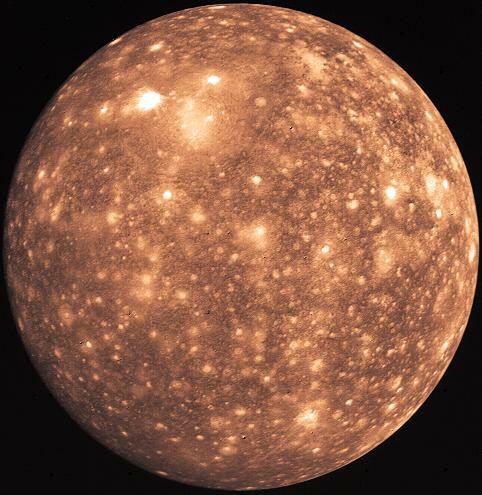 Callisto is the second largest satellite of Jupiter. It has been found by Galileo and Marius in 1610. The surface of the satellite looks really old and we can see that it has been a place of massive meteor impacts. 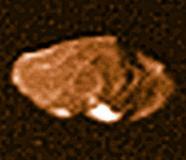 Amalthea has been discovered in 1892 by Edward Emerson Barnard (1857-1923), an American astronomer. This satellite is not spheric. It's long axis is pointing to Jupiter. We guess that its color is due to the sulphur coming from Io. 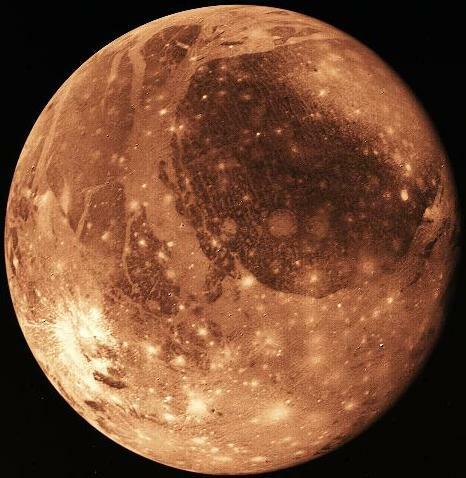 Ganymede is the seventh and largest of Jupiter's satellites. Its diameter (5,262 km) is larger than Mercury's one (4,878 km.) But its composition is well different than Mercury's, and so it's twice lighter (1.48e23 kg against 3.30e23 kg for Mercury.) This is just like a petanque bowl is heavier than a tennis ball when their respective sizes are quite similar.